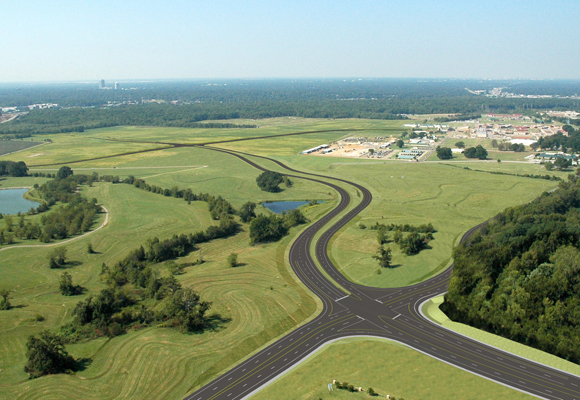 Palmer was selected by the Shelby County Government and TDOT to prepare a planning study and supplemental EIS for the Kirby-Whitten Parkway in Memphis, TN. To assure citizen issues and concerns were addressed, a 17-member resource team was established, and a public involvement plan was developed. The keys to developing consensus to guide the future design of the parkway were open and honest communication and flexibility in design. Palmer reviewed the current traffic forecasts, assisted the local MPO with its travel demand model, tested new alternates, coordinated with TDOT to assure all traffic analysis met their requirements and standards, and surveyed similar facilities elsewhere in the country to take advantage of any information gained in similar efforts. The Resource Team reviewed traffic simulations and visualizations as alternatives were developed. These tools were used along with a decision matrix to reach consensus on the recommended final alternate, which was approved by the Sierra Club and local citizens groups. Palmer was also contracted to complete an EIS, FEIS, ROD, and all supporting technical studies including a Section 4(f) statement.